Northwestern Medicine recently opened its brand new hospital, Lake Forest Hospital in March of 2018. 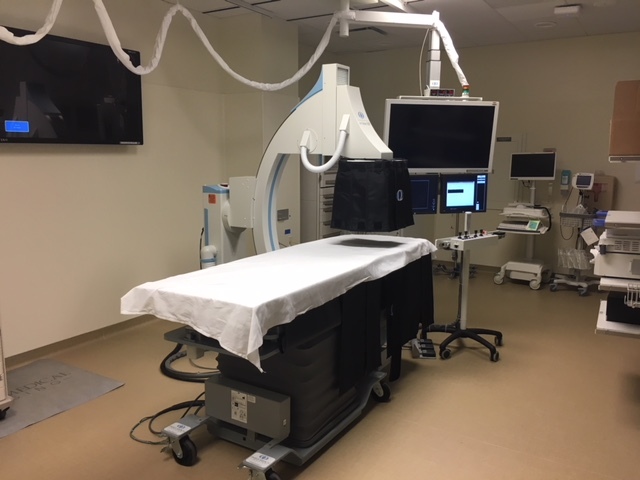 Committed to delivering world-class medicine to Chicago, Lake Forest opted to outfit their new interventional endoscopy lab with an Omega E-View fluoro system. Dr Samad Soudagar, the departments therapeutic endoscopist, performs multiple advanced endoscopic procedures in the new lab. These include, endoscopic ultrasound (EUS), endoscopic retrograde cholangiopancreatography (ERCP), endoluminal stent placement, and endoscopic mucosal resection (EMR) techniques. Move independent of one another allowing greater visibility of superimposed ducts and stones. Omega Medical Imaging is a fluoroscopic imaging manufacturer based in Orlando, Florida. Omega designs and manufactures interventional fluoro systems specifically for Therapuestic Endoscopy and Interventional Cardiology.